In most dell laptop (e.g. Studio 1555, Inspiron 1545, Inspiron 3000, Inspiron N5010 etc) the F1-F12 keys at the top of the keyboard are dual function with Multimedia/OEM keys such as volume and screen brightness etc. The problem is, is that the Multimedia/OEM keys are the default, and you have to press the Fn key to get the F1-F12 key to work. For example, this means you have to hit Alt+Fn+F4 to close a window, instead of the regular Alt+F4. This is really annoying. Is there a way to reverse the default functions of the F1-F12 keys in Windows? Ideally this is possible without some kind of third party hotkey manager. The media buttons are switched on by default instead of the F keys so to perform a task such as closing a window (Alt-F4), you are required to press Alt-Fn-F4. 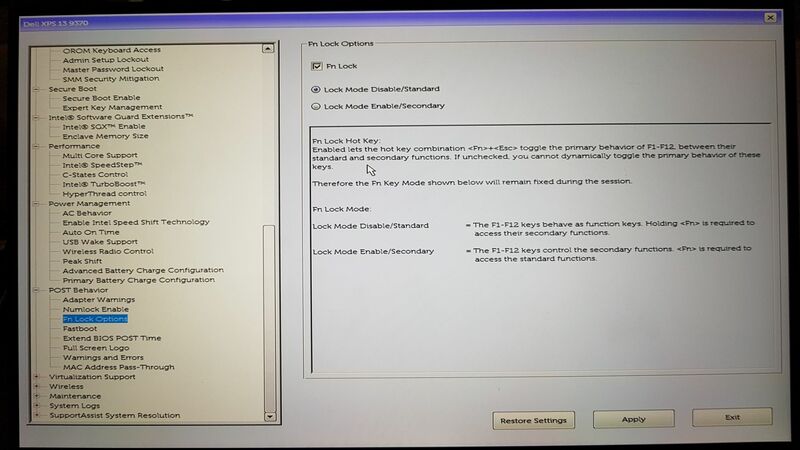 To reverse this function, it is necessary to go into the BIOS. Often the ESC key fill have a 'function lock' icon which looks like a padlock. Press the 'FN' select key and ESC and it switches the function keys to behave as function keys. Just for reference, I have been using a Studio 1555 with Vista 64bit for the last 6 months. This setting does not appear in the Windows Mobility Center on my system, so I needed to change the setting in BIOS by pressing F2 at boot (no need to press fn F2, even when the keys behave as media keys in Windows). Occasionally, this setting appears to revet and I need to set the option again in the BIOS. As noted above, perhaps there is some key combination to change the behaviour. I cannot explain why the keys reverted back to their media function by default. My laptop is at home, so I can't test it. Per comment: Check out this thread. It indicates there is a BIOS setting. You set the media keys in the bios from media to function. It will toggle the Fn keys to the top and media where you hold the Fn key. 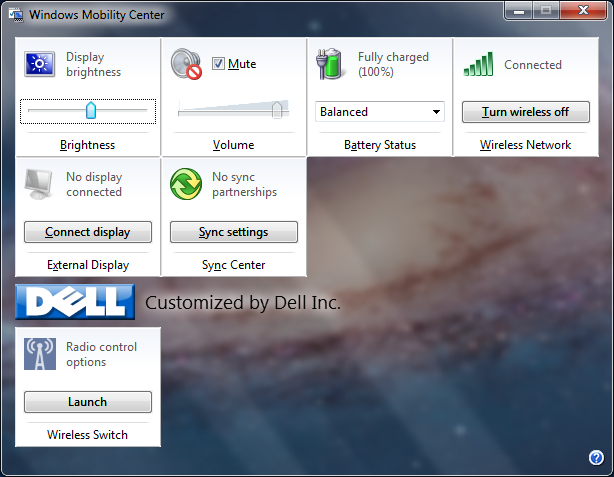 Just search for Windows Mobility Center and change the option from there. No need to goto the BIOS. On Dell XPS 13 9370 it's depends on the BIOS settings. See the picture below. With "Fn Lock" you can toggle between Functions and Media keys with Fn+Esc. With "Lock mode disable" you can use F1-12 keys as Media keys. With "Lock mode enabled" you can use F1-12 keys as Functions keys. Yes, this is possible, but I cannot remember if it is a BIOS setting or software setting. It might just be a combo you push on your keyboard to turn function on or off by default. This can vary from laptop to laptop. On Apple macbook pro's the function is on by default. A dell laptop i had once was off by default and you could change it through a combo on the keyboard. Not the answer you're looking for? Browse other questions tagged laptop keyboard function-keys or ask your own question.